At the start of the project, consultants asked me to produce community reading materials for elementary schools and individual households, citing their concern with the unification and standardization of the six Asháninka/Ashéninka varieties. 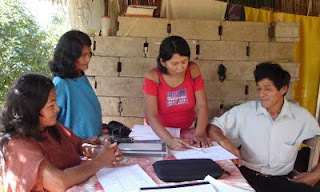 The current indigenous literacy program, implemented in the region by the Universidad Nacional Mayor de San Marcos (UNMSM) and the Ministerio de Educación, uses the Tambo-Ene variety as the standard. Local bilingual teachers are trained to use in their language classes the spelling system, lexicon, and grammar of the distinctive Tambo-Ene variety, effectively undermining the use of the Ashéninka Perené vernacular and facilitating the speakers’ shift to Spanish. In response to the speakers’ legitimate expectations of assistance with the production of reading materials, the first phase of the storybook project was aimed at developing a spelling system acceptable to the community. After a series of discussions and consultations during the summers of 2009 and 2010, a meeting of language consultants in Bajo Marankiari in September 2010 approved the spelling system for the storybook. However, it remains to be seen if the storybook’s spelling conventions will be well-received by much broader readership from other villages (there are 36 of them). The consultant team expects to get sufficient feedback on the storybook in order to implement the most-commonly proposed corrections, to make sure that future publications will be met with community-wide enthusiastic support. The next stage was to select texts for the storybook from the corpus of audio and video recordings collected for the language documentation project. The total number of the selected multi-genre texts is seventy-three, ranging from children’s stories to songs to traditional advice given to children by parents to humorous stories, etc. Women’s stories and comments on past customs occupy an important place in the storybook, revealing details of the traditional lifeways, no longer practiced in the community. The most laborious part was to write down, translate, and edit the selected texts. Three editing teams were set up, one each in Bajo Marankiari, Pampa Michi, and Villa Perené. The teams looked for performance issues such as slips of the tongue, mentions of incorrect places or personal names, poor phrasal or sentence-level organization, ambiguous references to the characters, uses of Spanish loans for concepts which are expressed by systematically-used Ashéninka Perené equivalents. The editors were also sensitive to the use of lexemes from the Pichis and Tambo-Ene Ashéninka/Asháninka varieties. Those were replaced with words from Ashéninka Perené. To make the storybook aesthetically pleasing to the readers, three consultants contributed their drawings and handicrafts to illustrate the texts. It was also decided that each sentence should be numbered so that the non-proficient readers could easily look up the corresponding sentence in the Spanish translation which accompanies each text. The final stage involved my phone and email consultations with one of the main native editors, bilingual teacher Gregorio Santos Pérez. Before submitting the file to the printing facility in Milwaukee, I sent Sr. Santos a pdf file of the storybook for a final review. Using a Dell mini laptop, donated to the language consultant team in 2010, Sr. Santos read the file and identified a number of overlooked errors. The important ethical issue of remuneration was managed in the following way. During the fieldwork season, all consultants were paid daily for their work as storytellers, editors, or illustrators based on an hourly rate of a school teacher (8-10 soles per hour). Sr. Santos’s consulting work via phone and email was paid in advance, from a bank account, established in one of the banks in La Merced in his name. After the books are delivered to the community, speakers’ input will be noted and considered in the next project, which also aims at promoting local vernacular literacy. The consultant team has already begun collecting materials for a dictionary/thesaurus which will include explanations of local place names and landmarks, interpretations of ideophones, comments on cultural practices and objects of material culture, etc. *Elena Mihas [profile] obtained her PhD last year at the University of Wisconsin-Milwaukee with a dissertation entitled Essentials of Ashéninka Perené Grammar. 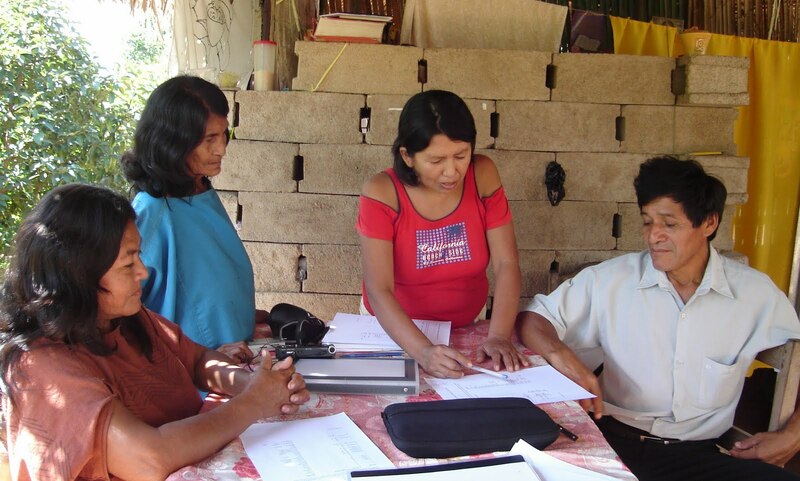 Based on extensive fieldwork experience in Peru, her language documentation efforts have provided the basis for community-based literacy initiatives among the Ashéninka Perené, including orthography development and the production of reading materials.